Windshield repair or replacement is not one of those issues you can head off with a little preventative maintenance. What is often worse is windshield cracks, or windshield damage is a frustrating issue that never seems to happen at a “convenient” time. Windshields play an important role in your vehicle’s safety and the safety of you and your passengers. Don’t let a small chip go un-repaired! But if you do, we can replace your windshield back to factory specs. At Auto Glass Warehouse we offer comprehensive windshield replacement and repair on most any vehicle. 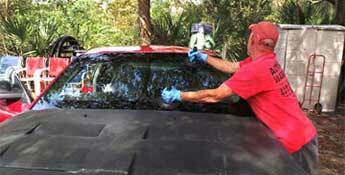 We also offer replacements of back glass and side windows on any vehicle. FREE Mobile Service! We make auto glass repairs and windshield replacements convenient. We come to you at home, work or play. Our technicians travel anywhere your vehicle may be to service all your auto glass needs at no additional cost. 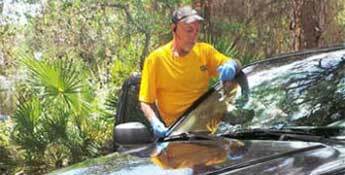 Auto Glass Warehouse mobile service technicians live and work throughout all of Southwest Florida from Brandon south to Naples. We maintain conveniently located warehouses that have access to hundreds of windshield s from top rated suppliers. Upon request, we can also order factory glass. 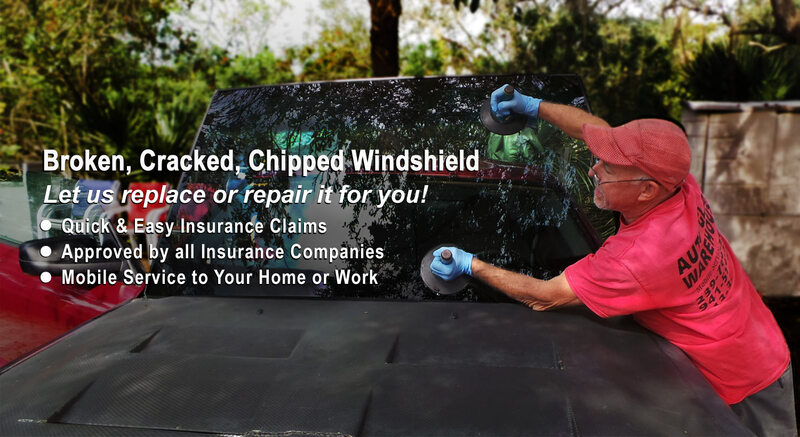 For Fast & “Free Mobile” Windshield Repair and Windshield Replacement Contact Auto Glass Warehouse Today! 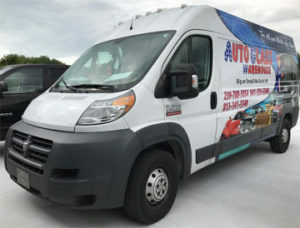 Every Auto Glass Warehouse automotive window replacement or repair or windshield comes with a lifetime warranty against defects in materials and workmanship. We are not happy until you are happy. For a FREE Quote complete our online request form or for the fastest response call any of the closest Auto Glass Warehouse locations today!